My four year old and six year old girls are LOVING Percy. I'm so glad you are posting it. Thanks! I'm having fun posting it! I hope the girl's are masters of the "-ight" words. Can i use your name dragon and do name dragon contest? Thanks for asking. I post everything here for people to enjoy for free. That said, I don't like the idea of people taking and using my images for their own sites or contests. These images are copyrighted to me, the creator. I can't really stop anyone from poaching images, this is the internet, after all. The answer is no, you can't use my images for your own dragon name contest. But I appreciate you asking permission. 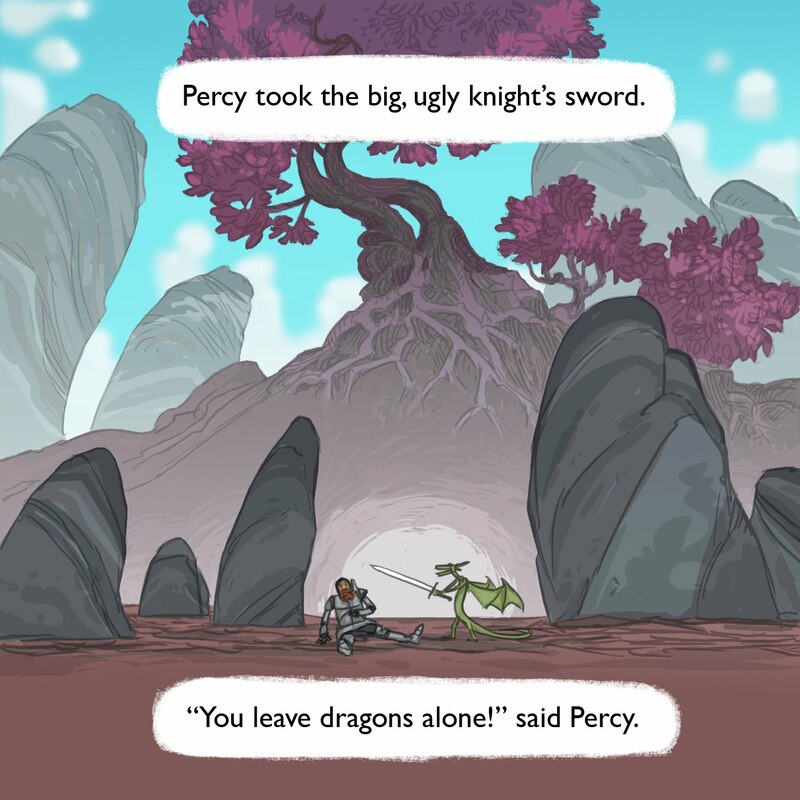 I just got my 7 year-old to read through "Percy" and he said it was "cool." Coming from my son, that's a big compliment. Can't wait to buy a copy.